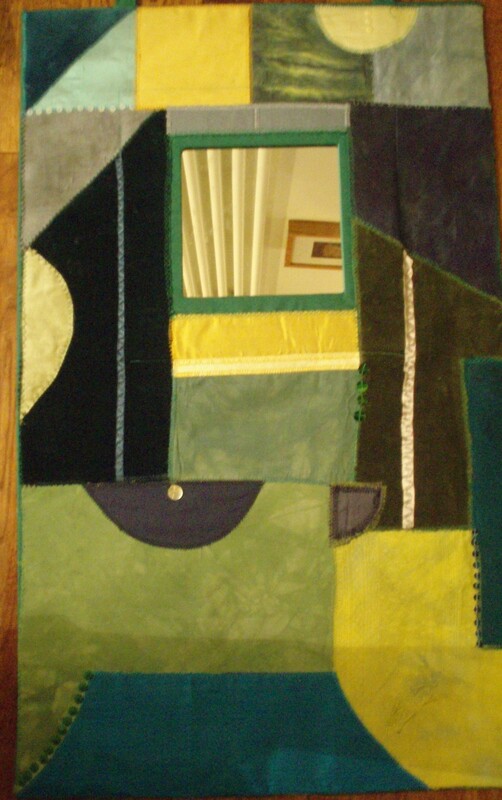 My first piece of patchwork has not been saved for posterity – I put it down to moving house too many times! I did a hand-pieced patchwork of hexagon shapes, where each shape is folded over paper and tacked around the edge, then the hexagons are stitched together. 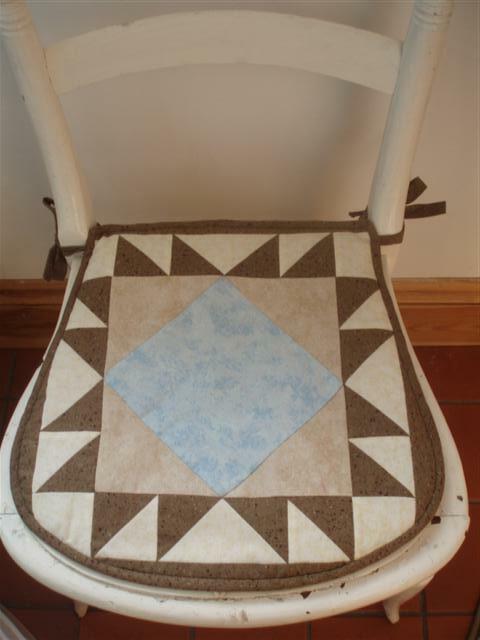 It is still one of my favourite patchwork methods and I came back to it again later. 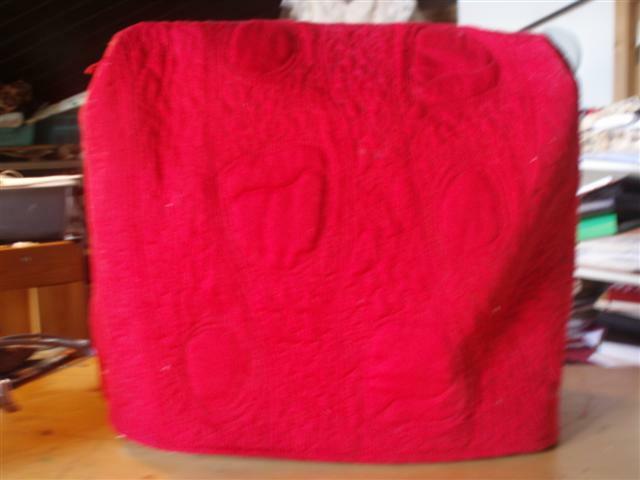 The patchwork was made into a lined bag with basket-work handles and I kept my knitting in it. 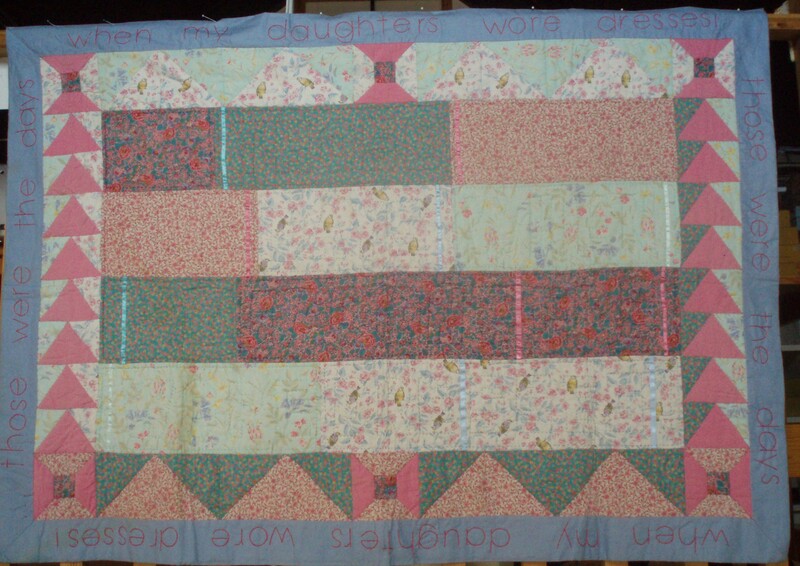 So, it was a ‘patchwork’ but not a ‘quilt’ which has three layers rather than two. I’ve always enjoyed embroidery, which appears on these two banners, made for my sons. These were appliqued and hand-embroidered before being layered with wadding and a backing fabric. The banner is quilted around the edge of the frame. 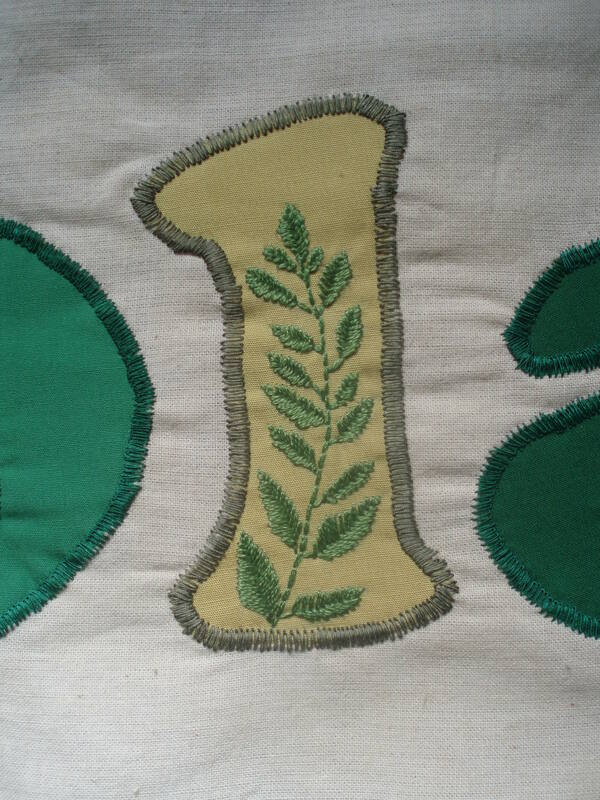 A detail of the embroidery in each banner can be seen in the photos. 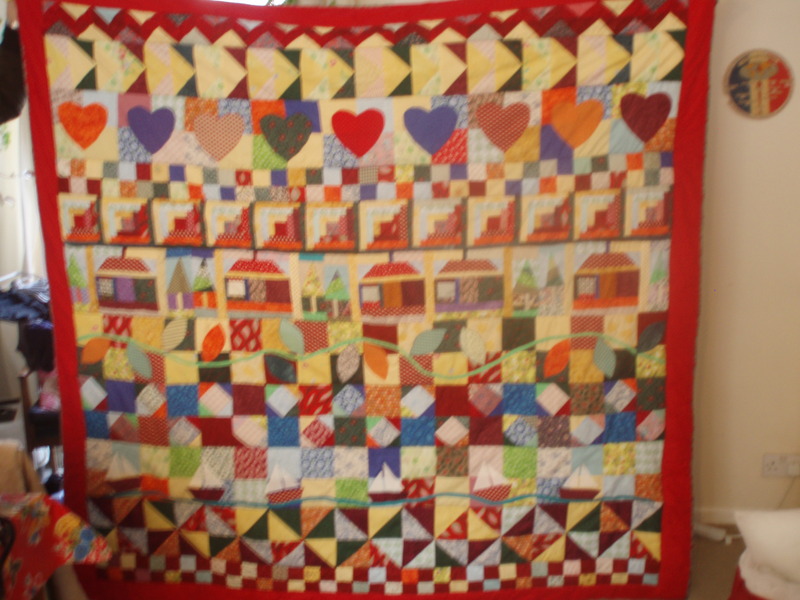 Another quilt to hang on the wall, is this one, which was made for the 1994 National Patchwork Championships at Ascot. There is hand embroidery in this one too (all around the outside) and words are hand-quilted into the rectangles that make up the quilt. 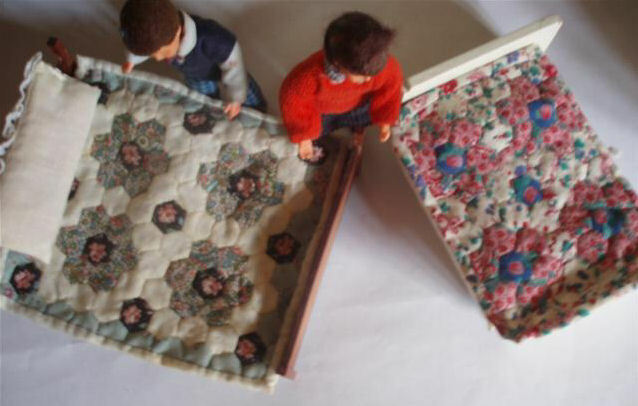 I had a ‘miniatures’ phase and made two tiny quilts for a doll’s house – returning to hexagons again. 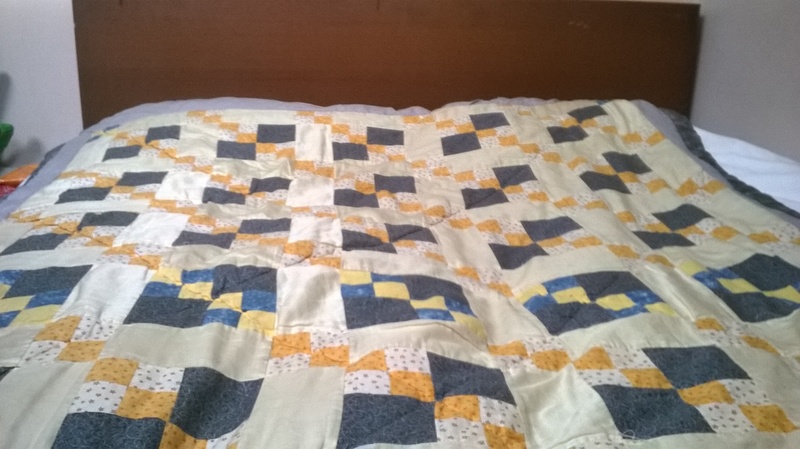 A single bed quilt went off to university with each student in the family. 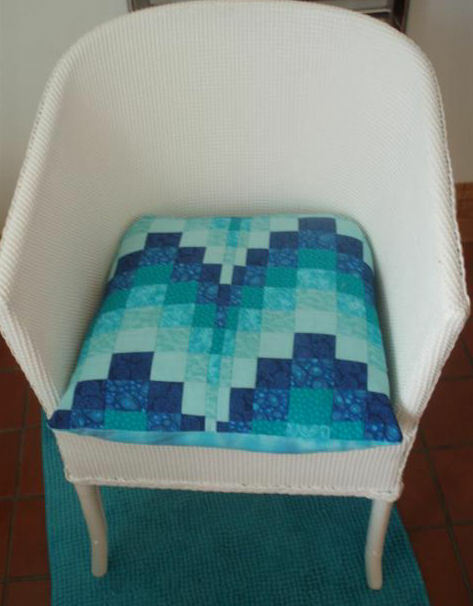 The first two were both made using simple squares, joined on the sewing machine and tied through the three layers rather than quilted with stitches. The next two were more complex and the colours were chosen by others. 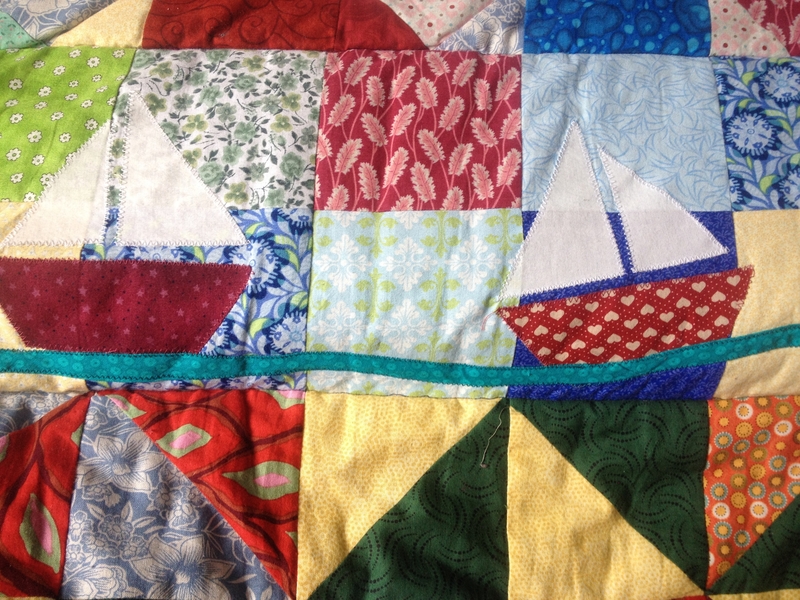 The quilts were machine-pieced and quilted by hand, using cotton perle thread. 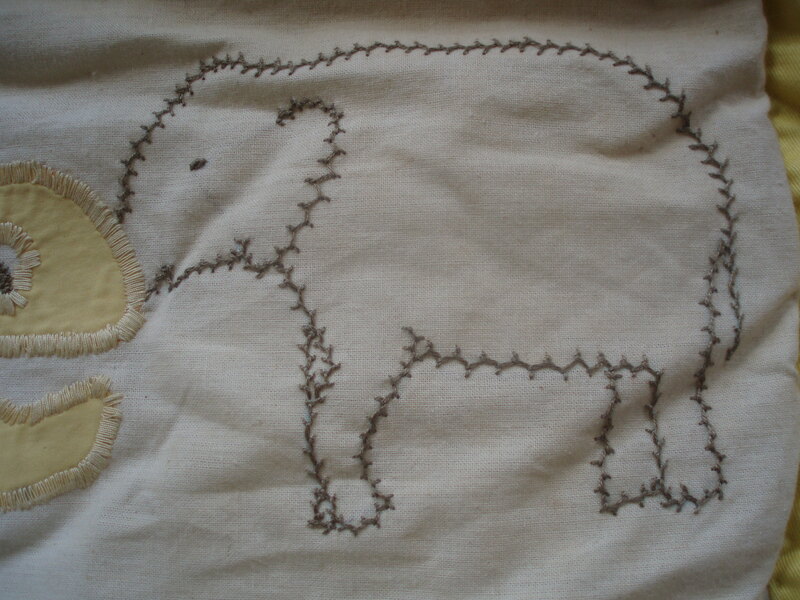 I like using this quilting method which is like the Japanese ‘Sashiko’ traditional stitching. Here is the ‘red, grey, black’ quilt being tested. If you are curious to know what happened to the two students who received the two quilts above, well, they have graduated now in ‘Film and Television Production’ (at Brunel) and ‘Media’ (at Goldsmiths), respectively, and are making films. You can find them at www.highsixmedia.com. Next came quilted items made on a City & Guilds level 3 Patchwork and Quilting course, taught by Barbara Weeks at Missenden Abbey in Buckinghamshire (www.missendenabbey.co.uk/courses). 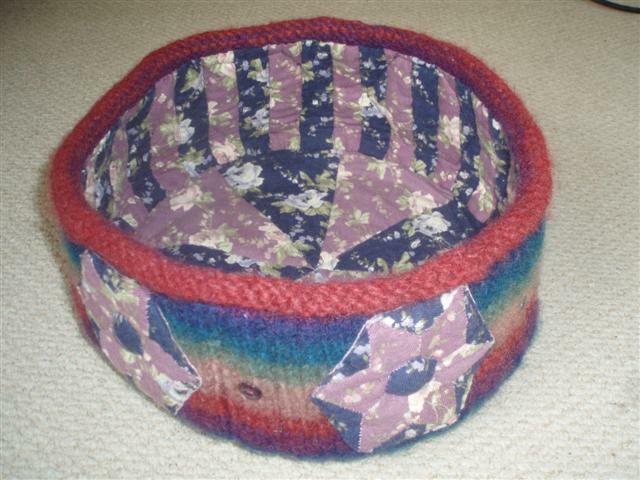 The course took place during twelve weekends over two years and during it I made: a lined, felted wool container, a sewing machine cover, a mirror frame and a single-bed quilt based on a trip to Australia (‘Blue Mountains’). 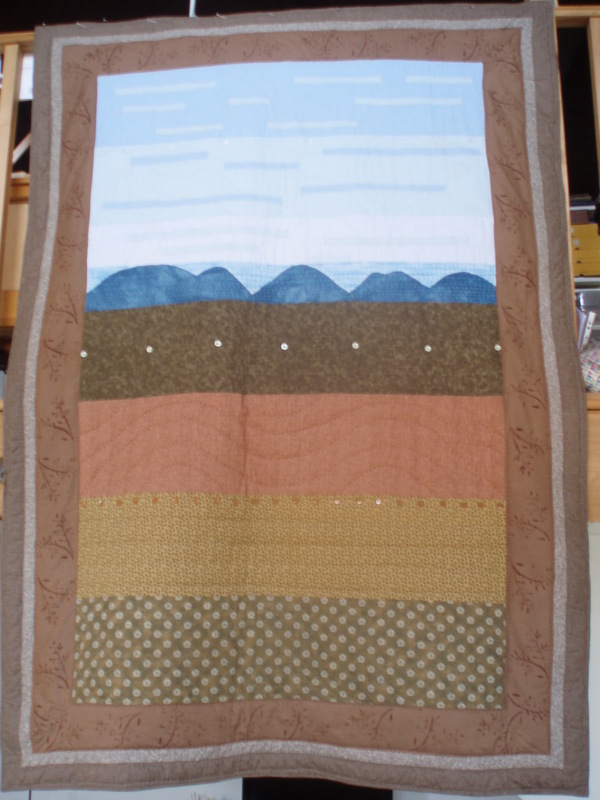 The ‘Blue Mountains’ quilt (above) is machine-pieced with machine applique, but is quilted with hand-stitching using cotton perle thread to create bold quilting lines. 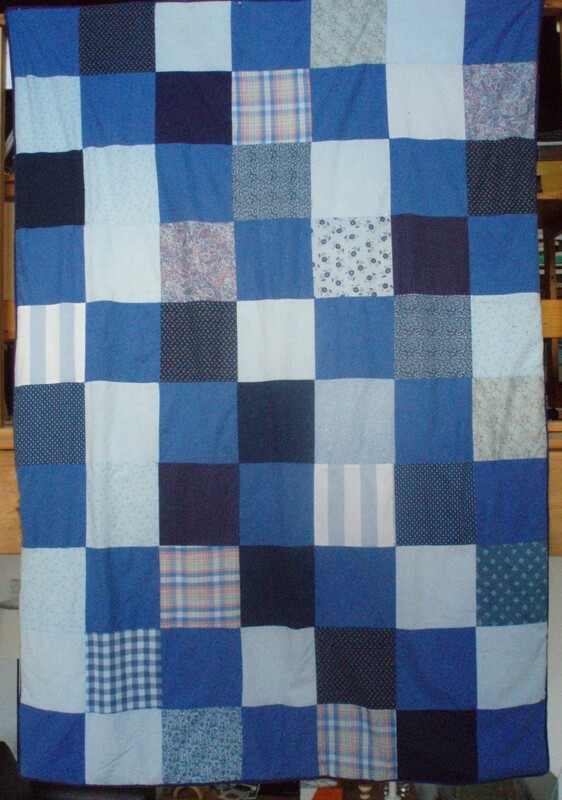 In 2012, I took up the ‘journal quilts’ challenge offered by the Contemporary Quilt Group, which is a special-interest group of the Quilters’ Guild (www.quiltersguild.org.uk) and made an A4 sized quilt each month of the year. It turned out to be an eventful year, so this collection captures memories of an engagement, a wedding, an 80th birthday and a 30th wedding anniversary – amongst others. 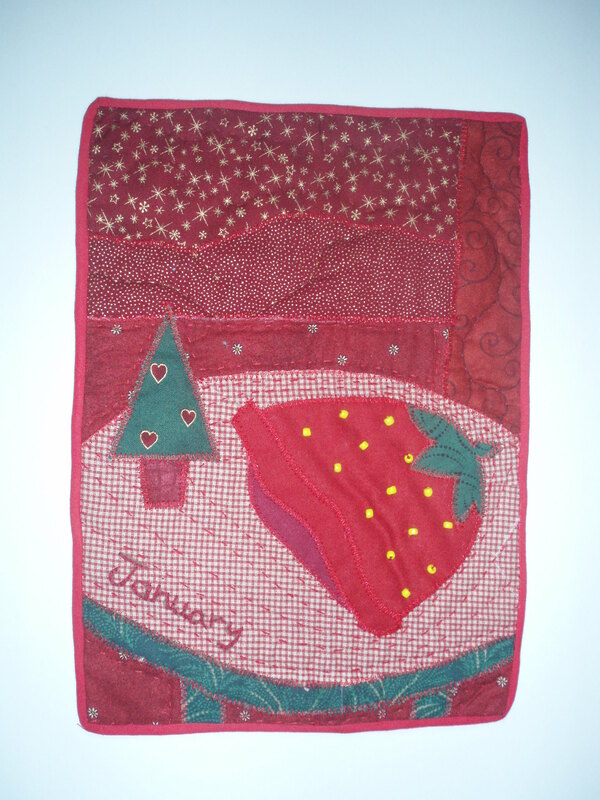 Here is the January quilt. 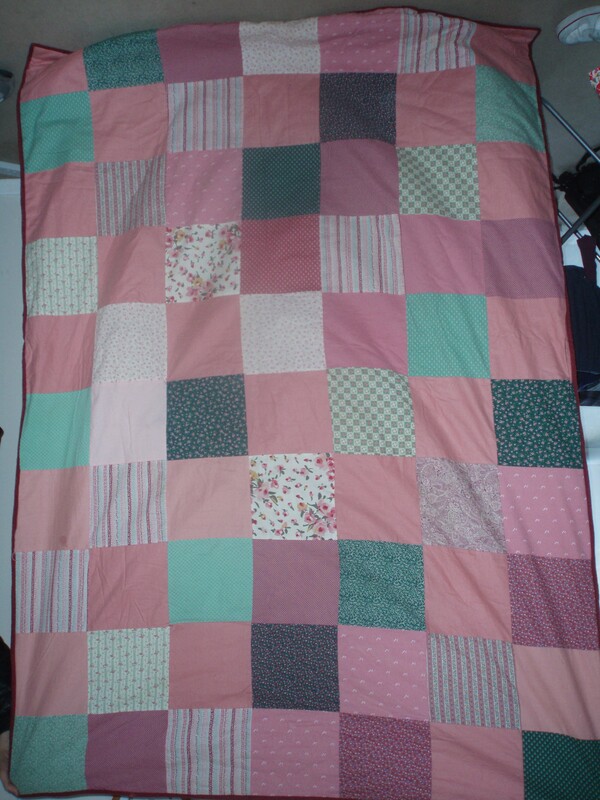 Next came a wedding quilt (which was made in the same year as the wedding dress described elsewhere on this site). 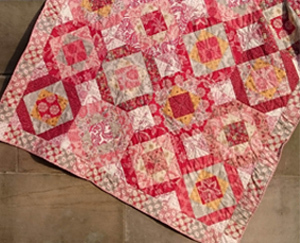 Given that there were also five bridesmaids’ dresses to stitch, I liked the idea of a sampler quilt designed by Davina Thomas, where one row was published each month in ‘Popular Patchwork’ magazine (www.popularpatchwork.com). I used the bright colours that the couple like, and added in a few rows of my own, including a row of sailing boats, as the wedding was to take place by the sea. I increased the width by half as much again and added a border too. 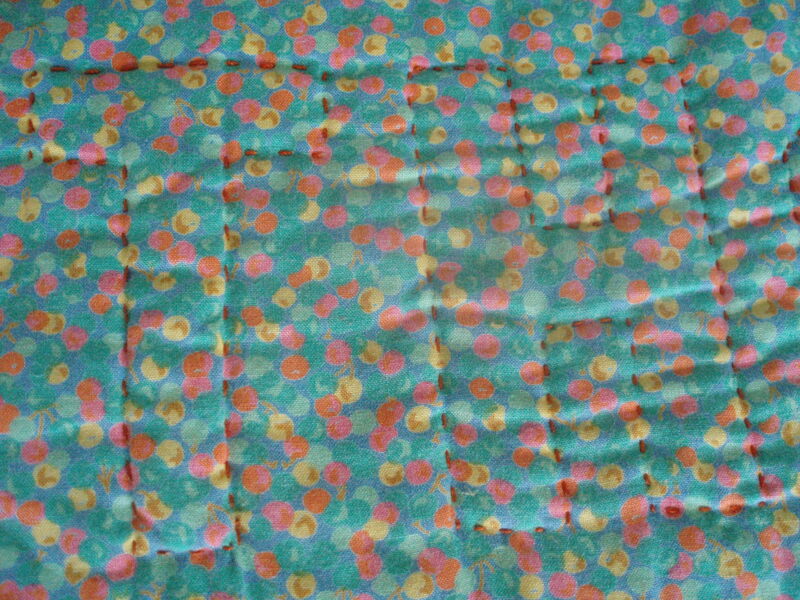 This was machine-quilted as the pressure was on, time-wise! 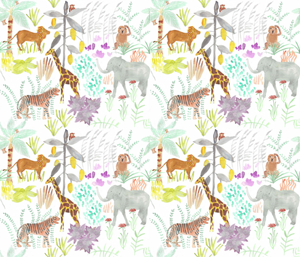 The following year, I made a big decision, resigned from my teaching job and began designing and stitching full time! If you have any comments, queries or commissions, please get in touch.